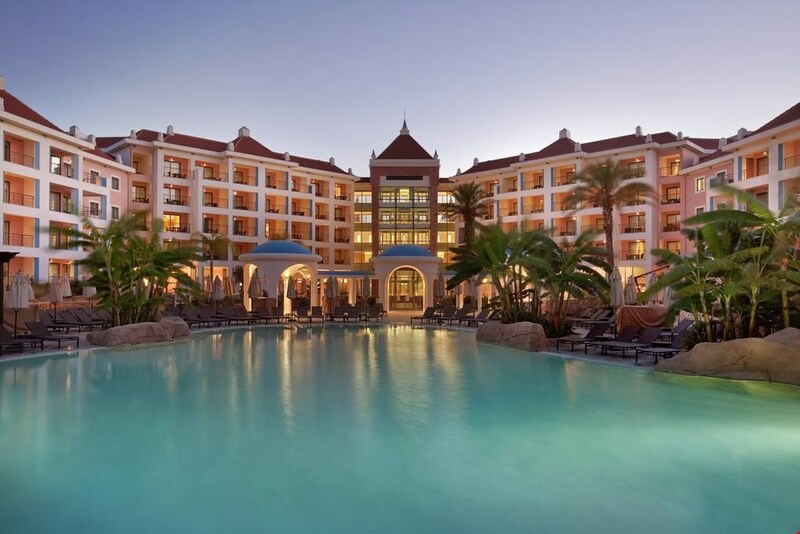 Set among five of the best golf courses in the Algarve, Hilton Vilamoura features lake-style outdoor pools with waterfalls and an extra-large futuristic spa. 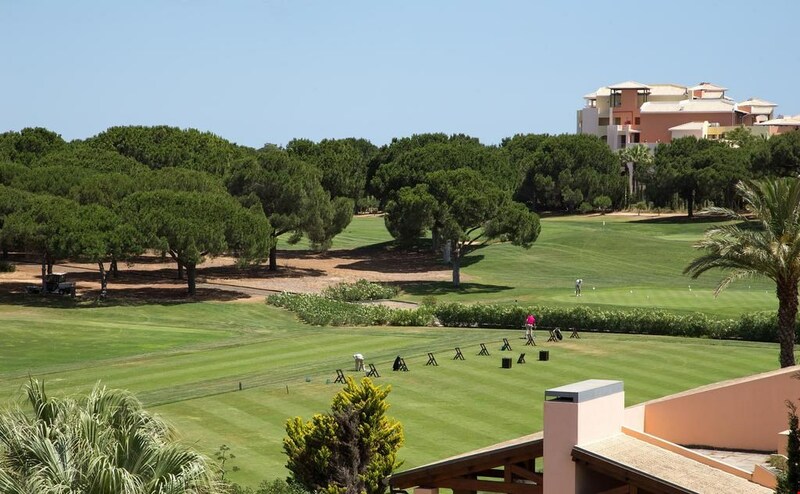 Pinhal Golf Course is on the hotels doorstep and Vilamoura Old Course is 5 minutes drive away. 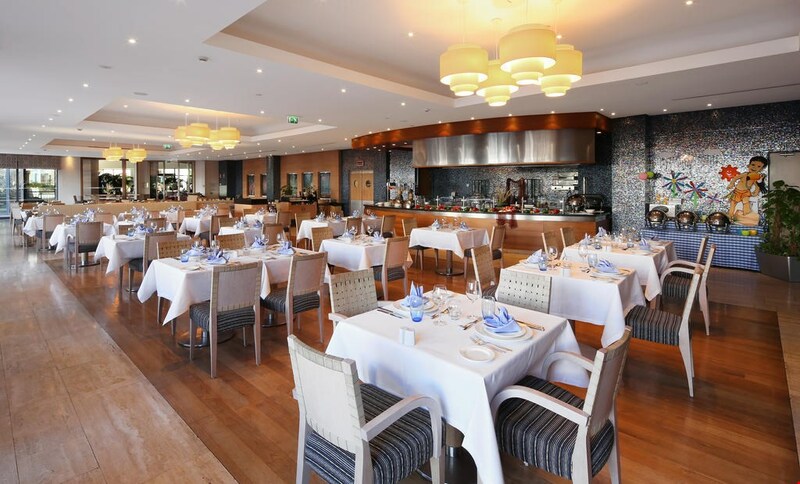 Guests of Hilton Vilamoura can enjoy modern Mediterranean Cuisine at Cilantro, taste international delicacies on the terrace of Moscada, or try the grilled delicacies at Aquarela. Rubi Bar offers state of the art cocktails and homemade Tonics and liquors. The contemporary rooms feature flat-screen TV with local and international channels. They include a private balcony or terrace overlooking the nearby golf course or the resort’s gardens. 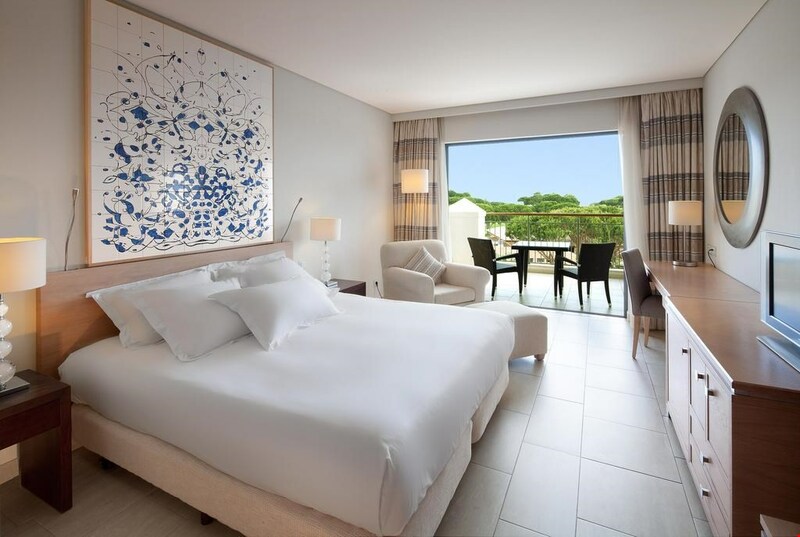 Free WiFi is available in all public areas of the Hilton Vilamoura. 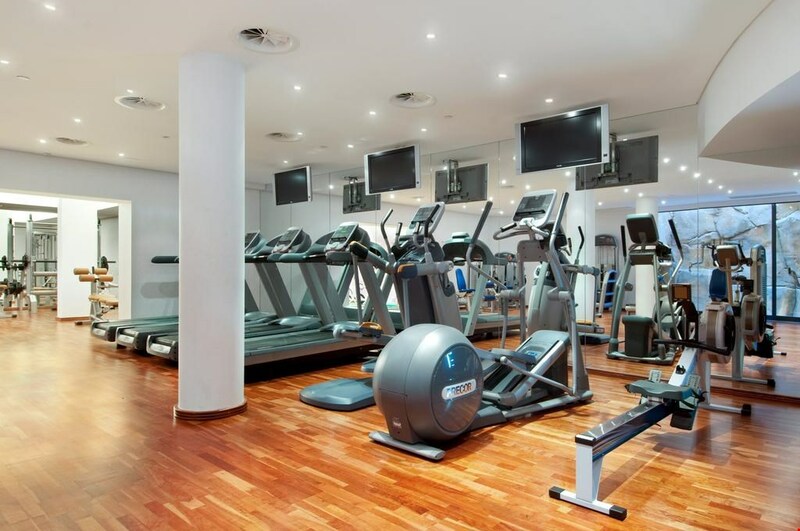 A 24-hour gym, a resting area with wall waterfalls and therapeutic massages are available at the spa. 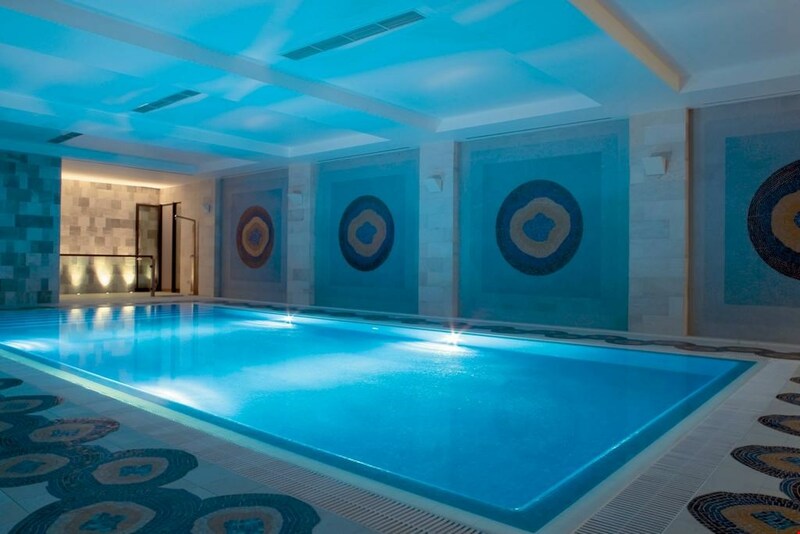 Hilton Vilamouras indoor pool looks like a mosaic, ancient Roman bath. 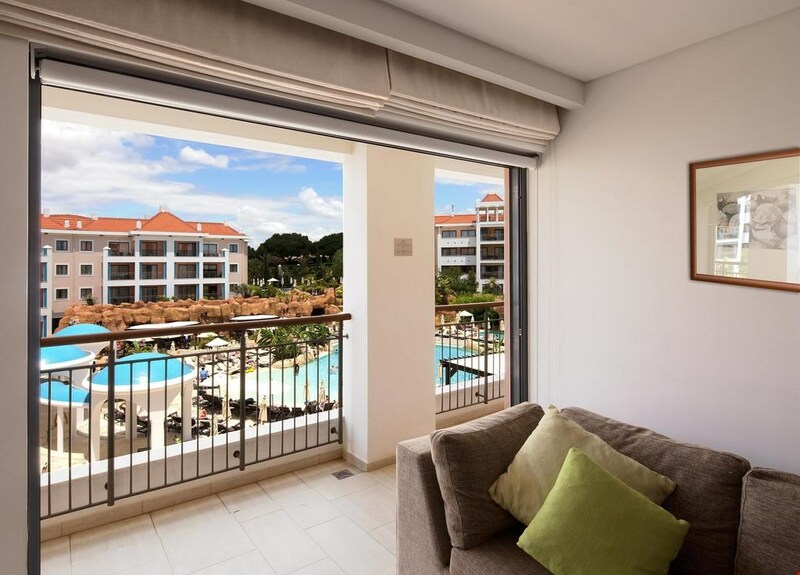 Hilton Vilamoura offers a free evening shuttle to Vilamoura Marina, just two minutes driving from the hotel. 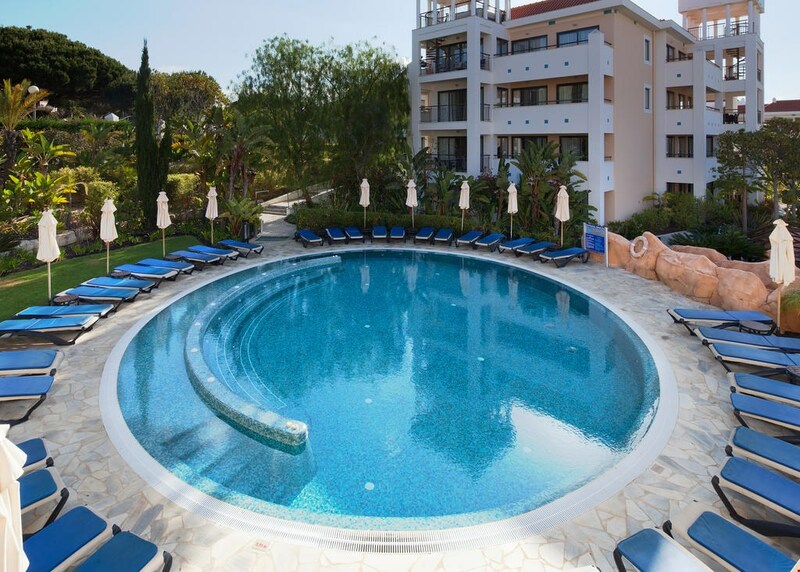 In summer, there is a free transfer service to Falésia Beach, where the hotel also has a private beach concession with sunbeds, sun hats, pool towels and snack bar service, just 5 minutes driving from the hotel. 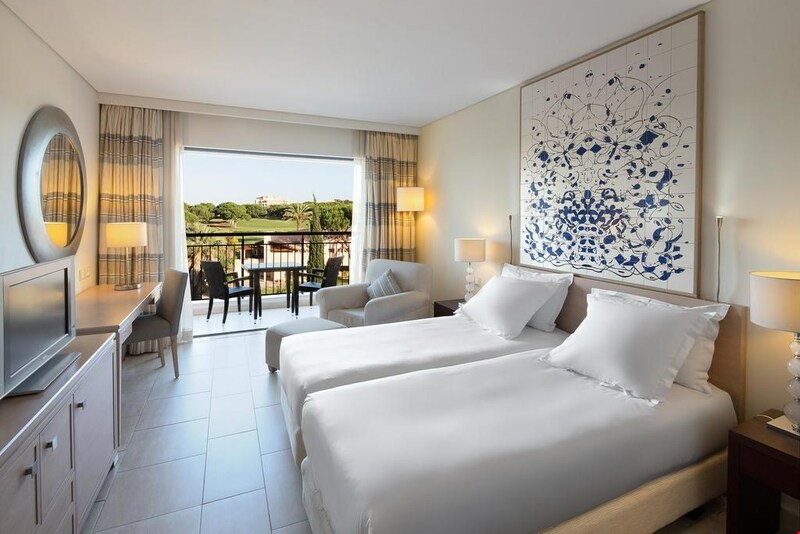 The hotel is located among the finest golf courses on the Iberian Peninsula in one of the biggest, most complete and diversified tourist complex in Europe. Falésia Beach is just a 15-minute walk away. Faro Airport is approximately 25 km from the hotel. Nestled in five hectares of romantic gardens with enormous pools, as well as hanging gardens, cascading waterways, lakes, grottos and pavilions, the hotel offers a diversity of recreational experiences. The modern architecture has a distinctive Moorish accent. Built in 2007, it is air-conditioned and offers a total of 183 guest rooms, all of which have balconies with lovely views. An extensive luxurious SPA area offers a multitude of relaxation and rejuvenation treatments. 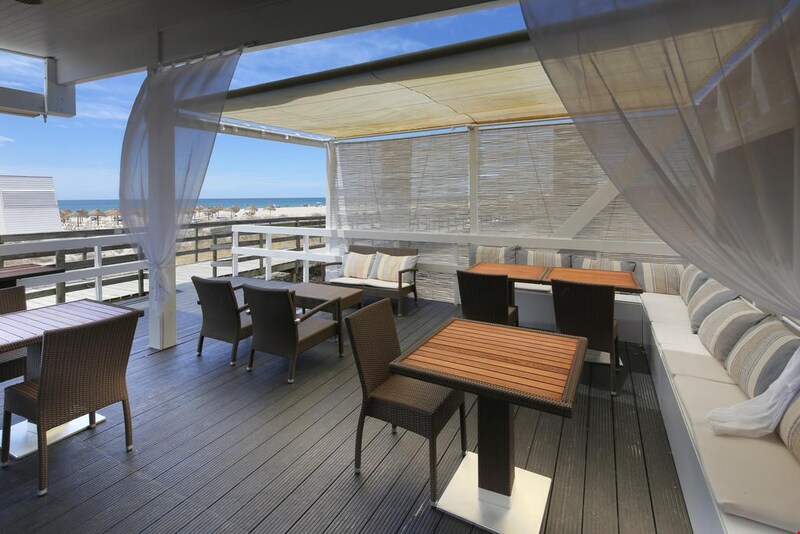 An array of restaurants provides on-site dining options where guests can experience Portuguese cuisine.